Sleep Onset Insomnia: If it takes over half an hour for you to fall asleep, you may be suffering from Sleep Onset Insomnia (SOI). SOI can be a temporary issue, however it can become acute or chronic if it isn’t treated. Symptoms associated with SOI vary in intensity from person to person. Common symptoms include feeling tired during waking hours, being unable to concentrate, feeling irritable/depressed/anxious, having moodswings and being increasingly clumsy. Generally, the cause of SOI is hyper arousal, which presents itself through heightened awareness and increased energy levels. SOI can also occur when there are lifestyle changes, short term stressors, lack of exercise, or when coffee or soda is drunk regularly before bed. 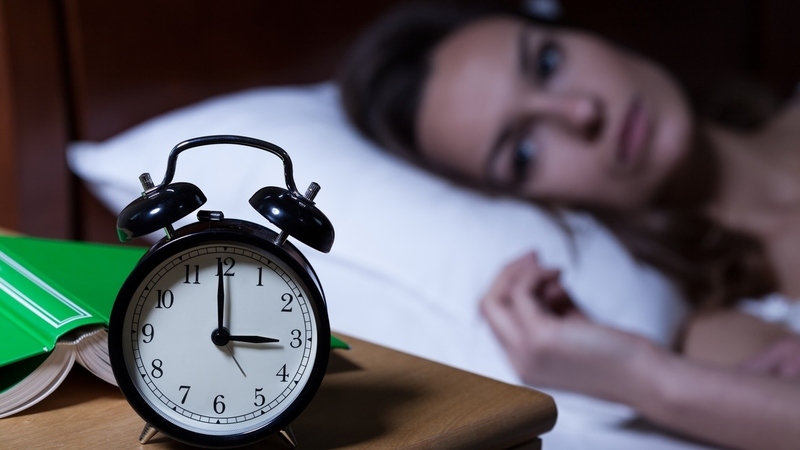 Sleep Maintenance Insomnia: Many people may experience trouble staying asleep (e.g. waking briefly during the night) from time to time. However, if the awakenings persist and increase in frequency and/or duration (more than 30-45 minutes), impacting your daily functioning and leading daytime fatigue, this is called Sleep Maintenance Insomnia (SMI). Symptoms of SMI include sleeping only a few hours before waking up, waking up suddenly and being unable to fall back to sleep, being in a half-awake state while sleeping, or experiencing a ‘racing mind’. SMI can occur with increased stress and anxiety, excess caffeine or alcohol, and with other physical and mental illnesses such as chronic pain, sleep apnea and depression. Research has shown people suffering from SOI have high-frequency EEG activation, whilst people suffering from SMI experience reduced EEG regulation and under-arousal, characterized by an excess of delta (slow-wave) activity that have the effect of causing you to feel tired but not allowing you stay asleep. In Neurofeedback terms, SOI sufferers show more relative beta power in the sleep onset period, while those with Sleep Maintenance Insomnia show higher beta and gamma power during NREM and REM sleep. Neurofeedback helps reduce those high frequencies, and has positive, long-lasting results. Neurofeedback is an ideal alternative to medication. Insomnia medication often involves side effects, such as changes in appetite, attentional difficulties, headaches and daytime drowsiness. Medication also needs to be continually administered for an ongoing effect, whereas results gained using Neurofeedback will still be present after the therapy has finished. In 2016, Vafaei and colleagues developed a theta alpha neurofeedback treatment and found that this has a significant effect on pre-sleep onset and increases theta/alpha power ratio, meaning neurofeedback can be a useful alternative treatment option for sleep disorders. Tang, Vitiello, Perlis and Riegel in 2015, investigated an open-loop audio-visual stimulation (AVS) neurofeedback in older adults with self-reported insomnia. This approach is a self-administered self-care method using light and sound patterns to potentiate EEG activity related to sleep. Using a pre-post design, participants self-administered a 30 minute session of an AVS program each night before bed for a month. Sleep was measure at baseline and after the completion of the four week trial, significant improvements of insomnia symptoms were reported with moderate to large effect size. Initial improvements in sleep were seen after the first week of training and persisted throughout the full four weeks. This study shows promising results for the use of self-administered AVS neurofeedback as an option for treatment in insomnia. Sleep has been implicated in the etiology of attention deficit hyperactivity disorder (ADHD) and Arns, Feddema and Kenemans in 2014 conducted research on the application of sensori-motor rhythm (SMR) neurofeedback to normalise sleep. It is proposed that improving Sleep Onset Latency (SOL) can positively impact ADHD symptoms such as inattention, hyperactivity and impulsivity. Nineteen adults with ADHD were compared to a control group to investigate if differences in sleep parameters such as SOL, Sleep Duration (DUR) and overall reported sleep problems (PSQI) exsist between the groups. In the second part of the study, thirty-seven adults with ADHD were trained with either SMR neurofeedback or Theta/Beta (TBR) neurofeedback to measure the effects on sleep parameters and ADHD symptoms and the possible mediating effect of sleep parameters on neurofeedback outcomes. Scores in SOL and PSQI were reduced with SMR and these changes correlated strongly with changes in inattention. A reduction in the SOL score was observed during the first half of the treatment suggesting that SOL mediated the response to SMR neurofeedback treatment. TBR and SMR treatment had similar effects on ADHD symptoms clinically, but the findings of the study suggest that TBR and SMR exhibit different working mechanisms in ADHD treatment. This research demonstrates the potential of SMR neurofeedback in improving sleep parameters that have a positive mediating effect on ADHD symptoms. In 2014, Schaus and colleagues assessed the effectiveness of sensori-motor rhythm (SMR) Neurofeedback Therapy (NFT) on twenty-four individuals with clinical symptoms of primary Insomnia. Individuals received either a SMR or sham-conditioning training block with results demonstrating a 12-15 Hz activity increase over the course of the ten SMR training sessions. Additionally, observed decreases in the frequency of awakenings as well as increases in subjective sleep quality and slow-wave sleep were demonstrated. Furthermore, SMR-training was also found to be associated with sleep spindle changes and overnight memory consolidation, thus illustrating a beneficial cognitive effect of SMR NFT. In 2011, Hammer and colleagues from McGill University in Montreal (Canada) assessed the role of two different Neurofeedback Therapy (NFT) approaches, Sensorimotor (SMR) protocol and individually designed (IND) protocol in their ability to improve sleep and daytime dysfunctions of individuals with Insomnia. The study included twelve adults with Insomnia, free from any other comorbid mental or physical illnesses who were randomly assigned to received either of the two forms of NFT. Following both types of NFT, baseline EEG’s indicated a significant decrease in the proportion of excessively high-level Delta and Beta. Further, post-treatment in both treatment groups demonstrated that excessive sleepiness and hyperarousal improved. Finally, when measured at post-treatment, all participants were deemed to be normal sleepers. In 2010, Cortoos and colleagues investigated the effects of tele-neurofeedback versus tele-biofeedback on sleep in patients with insomnia. They found that a significant improvement in total sleep time only occurred after neurofeedback and not after biofeeedback. Arns, M., Feddema, I., & Kenemans, J. L. (2014). Differential effects of theta/beta and SMR neurofeedback in ADHD on sleep onset latency. Frontiers in Human Neuroscience, 8, 1019. Arns, M., & Kenemans, J. L. (2014). Neurofeedback in ADHD and insomnia: vigilance stabilization through sleep spindles and circadian networks.Neuroscience & Biobehavioral Reviews, 44, 183-194. Cortoos, A., Verstraeten, E., & Cluydts, R. (2006). Neurophysiological aspects of primary insomnia: implications for its treatment. Sleep medicine reviews, 10(4), 255-266. Cortoos, A., De Valck, E, Arns, M., Breteler, M., & Cluydts, R. (2010). An explaratory study on the effects of tele-neurofeedback and tele-biofeedback on objective and subjective measures of sleep in patients with primary insomnia. Applied Psychophysiology Biofeedback, 35(2), 125-134. Ellmore, T., Castriotta, R., Suescun, J., & Schiess, M. (2015). SMR neurofeedback for improving sleep and memory–Two studies in primary insomnia. Schabus, M., Griessenberger, H., Gnjezda, M. T., Heib, D., Wislowska, M., & Hoedlmoser, K. (2017). Better than sham? A double-blind placebo-controlled neurofeedback study in primary insomnia. Brain, 140(4), 1041-1052. Schabus, M., Griessenberger, H., Heib, D., Lechinger, J., & Hoedlmoser, K. (2013). Non-pharmacological treatment of primary insomnia using sensorimotor-rhythm neurofeedback. Sleep Medicine, 14, e260-e261. Schabus, M., Heib, D. P., Lechinger, J., Griessenberger, H., Klimesch, W., Pawlizki, A., … Hoedlmoser, K. (2014). Enhancing sleep quality and memory in insomnia using instrumental sensorimotor rhythm conditioning. Biological Psychology, 95, 126-134. Suh, H. S., & Park, H. B. (2007). Clinical applications of neurofeedback treatment for insomnia. Sleep Medicine and Psychophysiology, 14(2), 79-85. Tang, H. Y. J., Vitiello, M. V., Perlis, M., & Riegel, B. (2015). Open-loop neurofeedback audiovisual stimulation: A pilot study of its potential for sleep induction in older adults. Applied psychophysiology and biofeedback, 40(3), 183-188. Vafaei, E., Hosseini, M., & Shushtarian, S. (2016). Developing a fuzzy theta alpha neurofeedback for treatment of pre-sleep disorders. In 2015 22nd Iranian Conference on Biomedical Engineering (ICBME) (pp. 30-33). IEEE.